Gandhi speaks to our times with renewed urgency in a translation of an acclaimed work. Gandhi’s final fast (January 13-18, 1948): On the 70th anniversary to mark this historic protest, The Wire recalls the politics and ideals Gandhi represented and sacrificed his life for. Excerpted below is a section from historian Sudhir Chandra’s Gandhi: An Impossible Possibility (Routledge, 2017), translated from Hindi by Chitra Padmanabhan. It was first published by The Wire on March 27, 2017 and is being republished on January 13, 2018 as part of a series on Gandhi’s last fast. 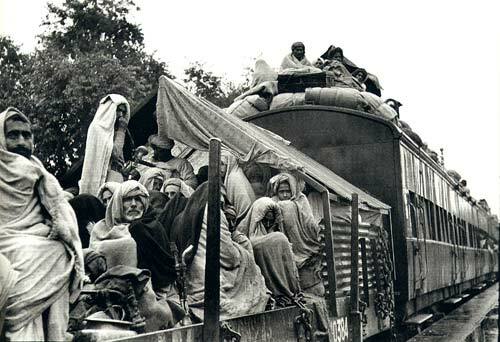 Gandhi…had wanted to avoid the country’s partition. Failing in that he engaged himself in preventing the division of hearts, emphasising that even as the country had been divided, the hearts must not be divided. Also knowing that if the hearts had not been divided, the country could never have been divided and contending with this paradox, because he understood that neither India nor Pakistan stood to gain in the absence of mutual friendship. Should one become hell, the other can never be heaven. Seventy years have since gone by. In the meantime, the division of hearts has perhaps deepened in both countries – across the border and within the border as well. People’s hearts have experienced new divisions. Gandhi’s warning has assumed greater relevance today compared to earlier periods. But only if we are able to see, which is not easy. And when people cannot see, saying or doing something to reach out to them becomes that much more difficult. Gandhi’s helplessness was such that he was reduced to admonishing everybody by turn because everybody was succumbing to the prevailing frenzy. He knew, and was repeatedly saying so, that between the Hindus and Muslims [both of whom had become animals] for one to refrain from becoming an animal is the only straight way to get out of this violence. But no one was ready to heed him, to refrain from becoming an animal. When he admonished the Hindus and the Sikhs, he was told to see what the Muslims in Pakistan were doing, and also that the Muslims staying on in India were traitors. 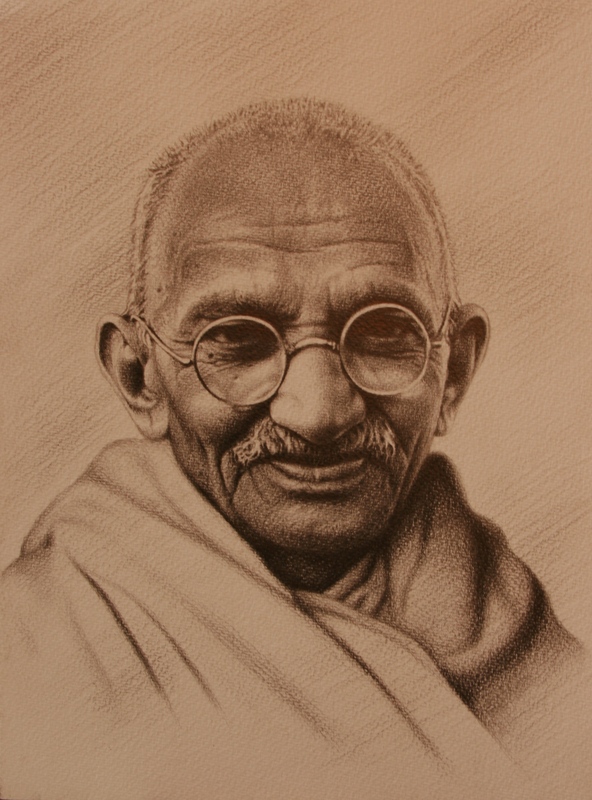 Gandhi would listen attentively and respond publicly. But such had become people’s mentality in the midst of that collective hysteria that Gandhi’s slightest concern for the Muslims seemed like outright favouritism to the Hindus and Sikhs, and when he criticised the Muslims or gave them advice, he was disregarded…. Had man not become so ruthless as to commit atrocities against his brother, these thousands of men, women and innocent children [in refugee camps] would not have been so helpless, and in many cases hungry. . . . Was all of this inescapable? A strong voice came from within me: ‘No’. Is this the first fruit of a month of independence?. . . Have the citizens of Delhi become mad? Do they not have even a shred of humanity left in them? Does the love for their country and its independence not appeal to them at all? I may be forgiven for putting the blame primarily on the Hindus and the Sikhs. Can they not be worthy as humans to halt this tide of hatred? I would strongly urge Delhi’s Muslims to let go of their fear, put their trust in God and surrender all their firearms to the government. Because the Hindus and the Sikhs are afraid that the Muslims possess firearms, it does not mean that they do not have weapons of their own. It is only a question of degree. Some may have less, some more. To obtain justice, the minorities will either have to depend on God or on the human created by Him, or they will have to depend on their guns, pistols and other weapons to protect themselves against those whom they do not trust. My advice is firm and unchanging. Its truth is self-evident. Have confidence in your government that it will protect every citizen from those who commit injustice, no matter how many more and superior weapons they may have. . . . By their actions the people of Delhi will only make the task of seeking justice from the Pakistan government difficult. Those who want justice will have to do justice. They should be guiltless and true. Let the Hindus and Sikhs take the rightful step and ask the Muslims who have been chased out of their homes to return. If the Hindus and Sikhs have the courage in every way to take this rightful step, the refugee problem will become very easy to handle. Then not only Pakistan but the whole world will acknowledge their claims. They will save Delhi and India from disgrace and destruction. ‘Those who want justice will have to do justice.’ This was not mere idealism. Gandhi was providing a formula for a viable morality. In any civilised society, said Gandhi, if avenging ill-will is considered proper, it can be done so only through the agency of the government, certainly not through individual interventions…. What shall we do about the Muslims who have left? I have stated that we will not bring them back right now. We will certainly not bring them back by means of the police and military. We will bring them back only when the Hindus and Sikhs tell them, you are our friends, please return to your homes, you don’t require the military or police, we are your military, we are your police, all of us will live as brothers. If we are able to accomplish this in Delhi I assure you that our way will become absolutely clear in Pakistan. And with that will commence a new life. When I go to Pakistan I will not let them off easily. I will die for the Hindus and Sikhs there. I would be happy to die there. I would be happy to die here, too. If what I say cannot be achieved here, then I must die. That a new life should commence was Gandhi’s desire. He was desiring this amid the barbarity of 1947. It was either this or else a vow of self-annihilation. How did Gandhi’s mind work? How could he visualise and project, in that impossible situation, the possibility of a humane beginning? Did he have any notion of the impossible? Was Gandhi’s desire plain impossible? We must, each one of us, reflect on this question in our individual ways. We must also reflect on how that desire came so naturally to Gandhi. In that savage time, how could he even think that, regardless of the happenings in Pakistan, India’s Hindus and Sikhs would recall the displaced Muslims, and do that with love and respect? If we could somehow understand this, we would have little difficulty in accepting that such an eventuality would actually have made it possible for Gandhi to go to Pakistan and, without dying, do much for the Hindus and Sikhs there. If the law of action and reaction drives human nature as powerfully as we think it does, the justice and respect accorded to the Muslims in India would surely have made an impression on the Muslim rulers and people of Pakistan. This is not mere logic. Take the change of attitude towards Gandhi that the Muslims demonstrated following his fast unto death in Calcutta. It provides ground for supposing that if the condition of Muslims had improved across the country, their attitude towards the common Hindus and Sikhs, too, would have undergone a similar change. We shall see ahead that Gandhi’s fast unto death in Delhi was quite effective in creating goodwill in Pakistan. The question was, as it invariably is in such human predicaments, whether anybody was willing to take the initiative to break the vicious cycle of action and reaction – the initiative to stop being an animal. The initiative of believing in what Gandhi called the ‘[e]ffect of decency’, and acting accordingly. When an initiative towards decency begins to seem impossible, what remains possible? Only that the police will step in and suppress the violence of citizens. In course of time, the police too will be seized by the communalism that affects the citizens. Paramilitary forces will then be created and pressed into action in such situations. They will also undergo a similar psychological transformation, causing the army to be summoned to maintain civil peace. How long will the troops remain untouched by communal rancour? Assuming that they do remain unsullied, will the rulers who are elected democratically by a society steeped in communalism call them out and leave them free to do their work? These are not mere academic questions. Gandhi could not even think of employing the police or the army as a solution to the problem of communalism. Today our very first response is to want the army to be deployed to control communal violence, even though we may later talk about the need for far-reaching interventions. In fact, the question of far-reaching interventions is nothing more than an academic exercise in the prevailing state of affairs. 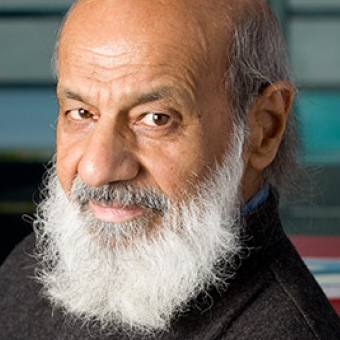 Indeed, the argument today is that the police, defence and other armed forces, and administrative services will, in the absence of adequate minority representation within them, continue to be influenced by majoritarian communalism and hence will be incapable of discharging their duty honestly. So dependent have we become on the armed forces for controlling communal conflagrations that our energies remain almost entirely focused on devising methods to make those forces effective instruments for maintaining social peace. What we have started believing to be possible – is that really possible? It is, perhaps, our limited and illusory idea of the possible that prevents us from accepting Gandhi’s idea of the possible. Our idea of the possible further prevents us from seeing that what we believe to be possible is itself impossible. It is the problem, not the solution. Our inability to distinguish between the possible and the impossible has, by and by, brought us to a point where communal violence results not from the frenzy of citizens alone but is orchestrated under the direction of a state’s popularly elected government. Where a coalition of political parties ensconced in power at the centre chooses to maintain a deafening silence on the misdeeds of that state government. Where, not just in the immediate wake of that violent frenzy but five years later as well, in a comparatively restrained atmosphere, the people of that state reward such misdeeds by re-electing the same government to power with a heavy majority. Gandhi used to emphasise a basic principle: ‘A civilised society should not need the protection of guns to uphold fundamental rights.’ But here even guns are failing to protect the fundamental rights of the minorities – not just the Muslims – and of the weaker sections of society. They will remain unprotected so long as Gandhi’s possible – which is no more than an essential requirement of a democratic polity – continues to be impossible for us. Our police and military, which comprise Hindus, Sikhs, Christians and Gorkhas, are supposed to be protectors, but they have become predators instead. How true this is I don’t know. But I want to communicate to the policemen that they should be upright. I have heard that in some places they themselves have indulged in looting. I was told today about an incident in Connaught Place where the soldiers and policemen stationed there started looting. Perhaps the information is false. But if there is an iota of truth in it then I would remind the police and the military that the days of the British are past. Then they could do as they pleased but today they are soldiers of India; they must not become enemies of the Muslims. When they are ordered to protect them, they should protect them. Gandhi’s hope of a new life, without which any democracy would be inconceivable, has not become any more possible in our public life than it was in his lifetime. If anything, the relationship between the possible and the impossible in the past 60 or more years has got inverted in much too vulgar a manner. 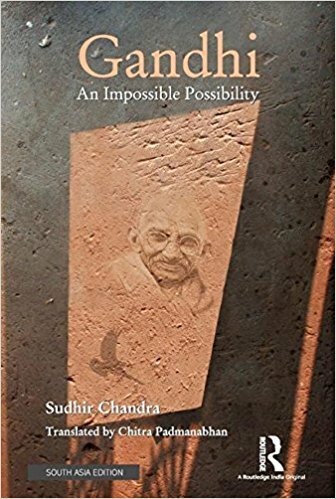 What Gandhi considered possible – the practicability and utility of which many of Gandhi’s contemporaries, too, had begun to appreciate – has started appearing all but impracticable and impossible today even as it seems useful and necessary. On the other hand, we have made possible what to Gandhi was inconceivable. The world’s largest mosque, the Jama Masjid, is situated here. What will happen to this mosque if we kill most of the Muslims, and the ones who survive go to Pakistan driven by fear? Will you send the mosque to Pakistan or raze it or convert it into a Shiva temple? Suppose that some Hindu presumes to build a Shiva temple there or the Sikhs consider building a gurudwara there. That, if you ask me, would be but an attempt to bury the Hindu and Sikh religions. Religion cannot be preserved this way. As per the information I have received, about 137 mosques of Delhi have been virtually destroyed in the recent riots. Some of them have been turned into temples. One such mosque is near Connaught Place, which no one can escape noticing. An Indian flag is flying over it today. It has been turned into a temple and an idol has been placed in it. To despoil mosques in this manner is to put Hindu and Sikh religions to shame. In my opinion this goes against every tenet of religion. . . . The magnitude of this act cannot be mitigated by saying that Muslims in Pakistan have also despoiled Hindu temples or turned them into mosques. In my view, any such act would destroy the Hindu religion, the Sikh religion and Islam. I hear speeches are being given – I will not disclose the names right away for all the particulars have not come to me as yet – that only a few Muslims remain here and they will not be allowed to stay on. Whatever mosques remain will be occupied for Hindus to live in them. What they will do next, God alone knows, I do not . . . We are committing acts of destruction. Gandhi really did not know. Who knows if God did? We do know. Now. Gandhi’s fear ran very deep. If the worsening situation was not brought under immediate control, it would have inconceivably dangerous consequences. His idea of control, as we have seen, did not mean keeping communal violence under check by whatever means possible. It was imperative to change people’s way of thinking. So, determined to do or die, Gandhi devoted every moment of his to reason with the people. 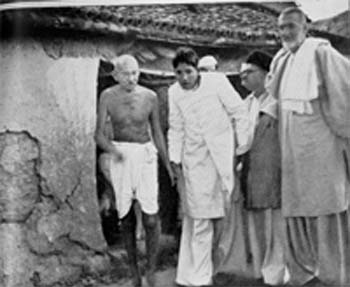 Gandhi reached Delhi on 9 September. For three months he did everything he could, but the ‘atmosphere’ of Delhi did not change. Finally, he was convinced that the time to ‘die’ had arrived…. Gandhi commenced his fast unto death on 13 January 1948.